Röda Sten Konsthall presents The Drowning Room a film by Patrick Jolley and Reynold Reynolds as part of the exhibition ‘Surfacing Earth’. Artists include, Rosa Barba, Ursula Biemann & Paulo Tavares, Bigert & Bergström, Tiril Hasselknippe, Patrick Jolley & Reynold Reynolds, Marie Kølbæk Iversen, Ferdinand Ahm Krag, Astrid Myntekær, Yasuaki Onishi. Röda Sten Konsthall is delighted to present Surfacing Earth; an international group exhibition featuring six artists and three artist collaborations whose practices reflect upon the changing awareness of landscape in the age of the Anthropocene. Acknowledging that the Earth has entered a new geological epoch – the so-called era of the Anthropocene – humanity is today living within radically transformed landscapes. As the classic Modernist demarcations between culture/nature, urban/rural, interior/exterior, subject/object and natural/artificial have started to dissolve, new configurations of landscapes are appearing, not least caused by global climate change. Nature, man and technology have simply become overlapping entities – a fact which to a profound extend challenges humanity to move towards new and modified states of being. 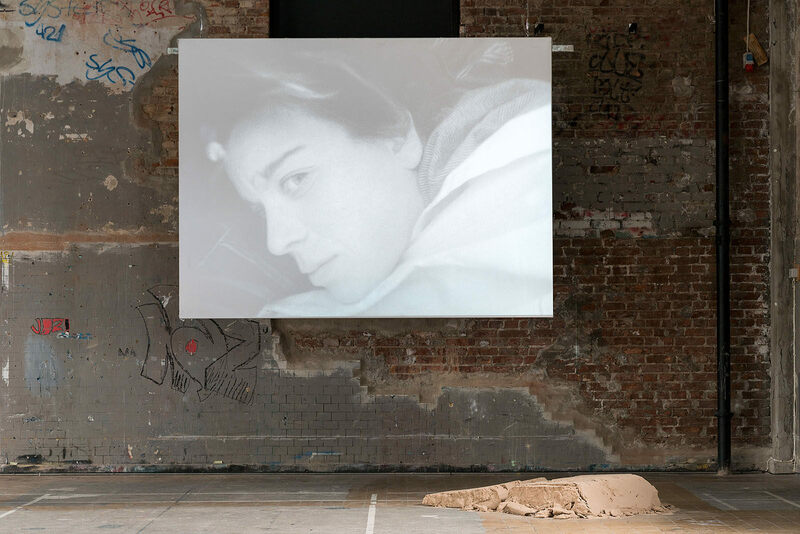 Surfacing Earth comprises of both older works and newly commissioned pieces in the form of large scale and site-specific installation, video, sculpture, painting, drawing and photography. Contemplating the human experience on Earth from an aesthetic perspective, the artists in the exhibition negotiate these challenges by applying poetic, performative, scientific and even humoristic approaches to their work. For example, the audience is invited to imagine themselves inside the matter of a mountain, to witness the heroic gestures of rescuing snow from melting or saving an island from floating away, and to understand the Amazon rainforest as a living subject with legal rights of its own. In considering the planet’s landscapes as prisms of experience, reflections of ideology, and embodiments of memory, Surfacing Earth seeks to provoke a new imaginative understanding of how we on an emotional and sensorial level relate to the transformed landscapes of the Anthropocene. Surfacing Earth will be the second exhibition in Röda Sten Konsthall’s program on The Anthropocene, following the exhibition Tides of Time by Finnish artist group IC-98. The last exhibition will be a solo presentation by Turkish artist Pinar Yoldas opening in the Fall.